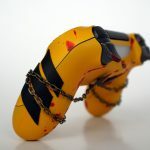 This custom made PS4 controller based on Mortal Kombat 11's Scorpion looks rather lovely. 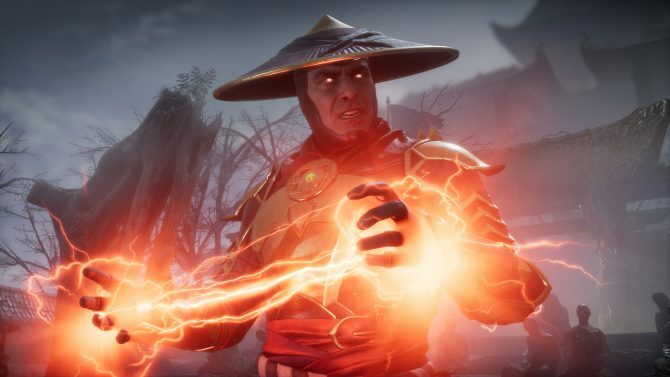 There’s one thing playing Mortal Kombat 11 and enjoying the visual mass of gore as you shred Baraka’s face, but what about actually feeling it? 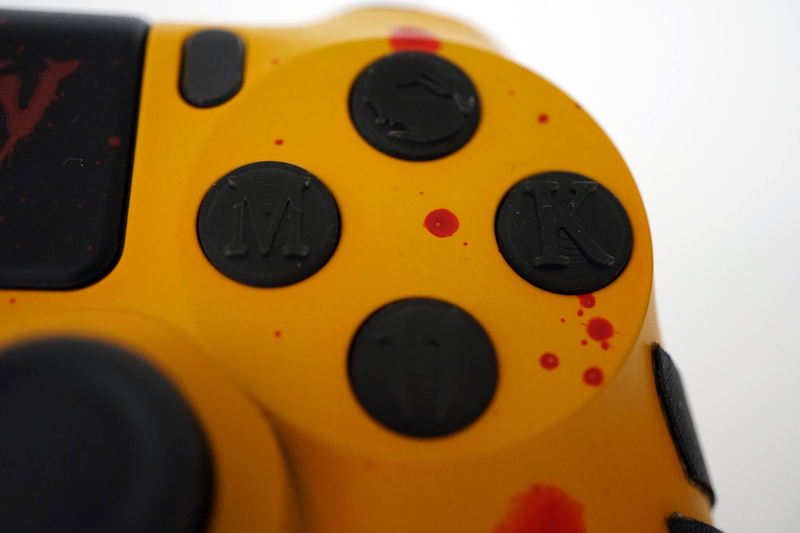 Okay, you can’t actually feel the damage being inflicted unless it’s of course through the controllers rumble, but why not feel that in style? 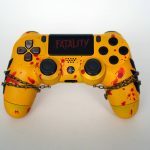 Shed of Dreams got in touch with us yesterday to show off their Mortal Kombat 11 themed Scorpion controller. 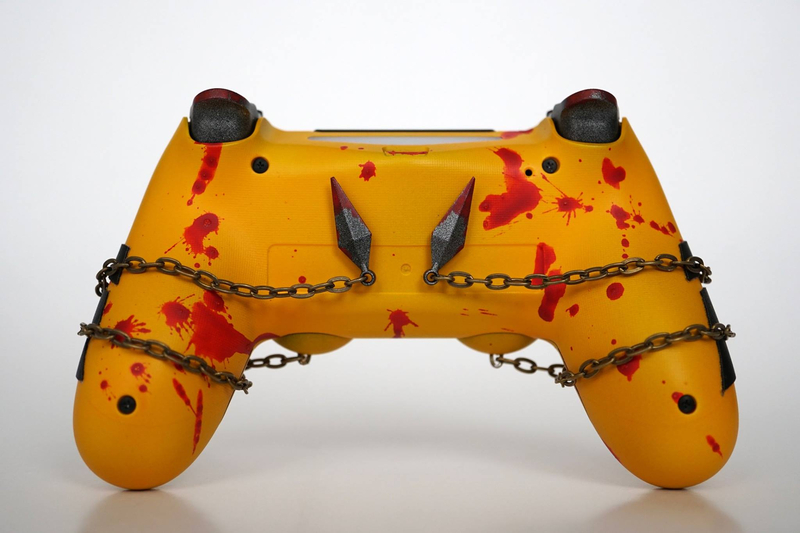 Currently being shown off as a PS4 controller, the controller from Shed of Dreams looks like a tactile massacre. 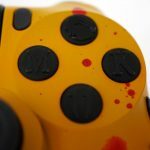 The vibrant mustard yellow base color is littered with blood spots all over. 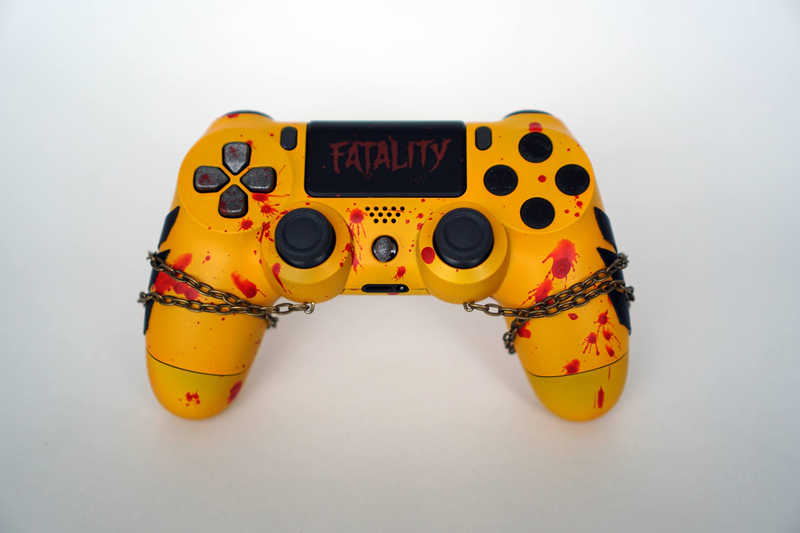 The D-pad looks metallic and the standard buttons on the right have been replaced with custom made Mortal Kombat themed buttons. 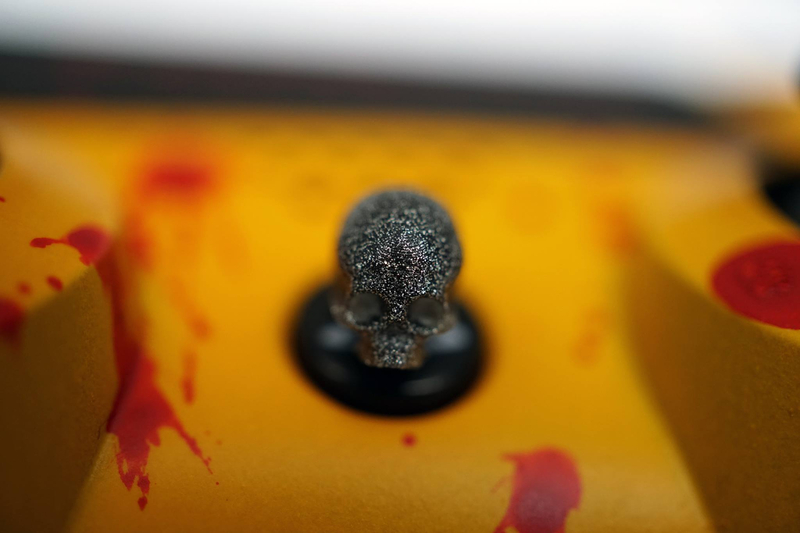 The touchpad is now decorated with a ‘Fatality’ and…there’s a metallic looking skull protruding out from the front of the controller. 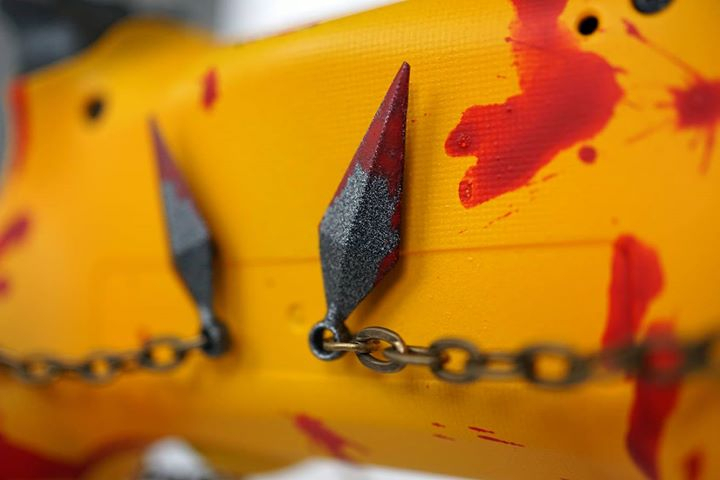 Around the grips, you’ll find a real chain sprawling across the controller and black strips that make the controller look even more Scorpion-esque. 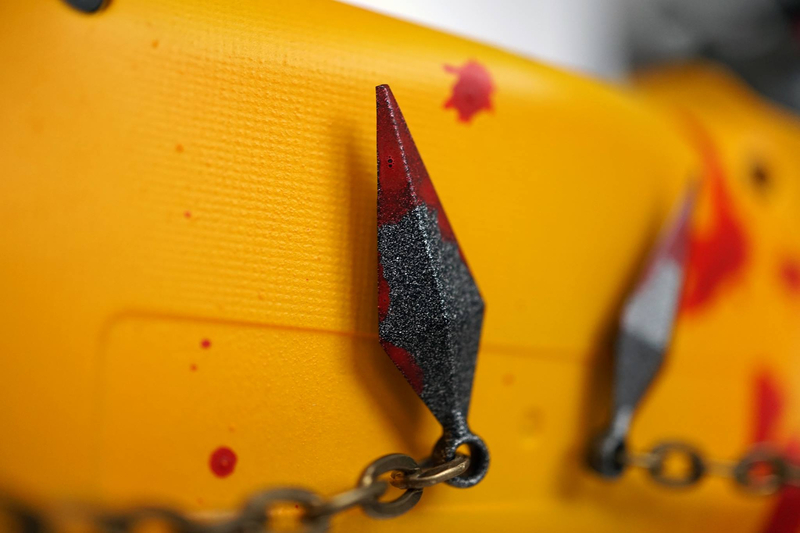 If that wasn’t enough, flip it over and you’ll find two 3D-printed Kunai’s dipped in blood. 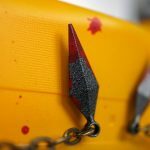 Those triggers too? Mm, they look rough to touch. 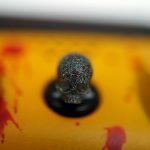 Shed of Dreams has a website that shows off a bunch of their custom designed controllers, and it appears as if they’re exclusive to PS4 controllers for the time being. 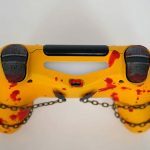 There are Bioshock themed controllers, Battlefield, God of War, and many others, and there’s even the possibility of contacting them for a quote on a controller of your dreams. 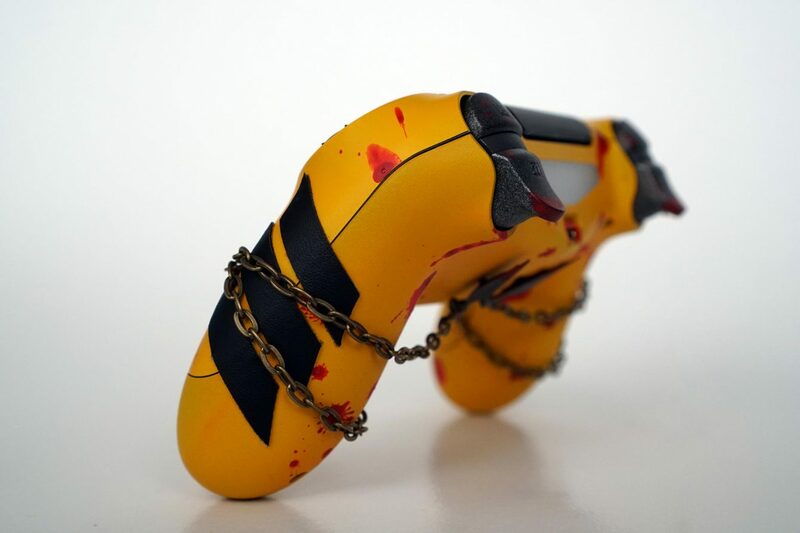 While not publicly available to purchase, if you want one of these controllers you’ll need to get in touch with Shed of Dreams. You can find the gallery below with two additional images not found in the Facebook Page embed also below. 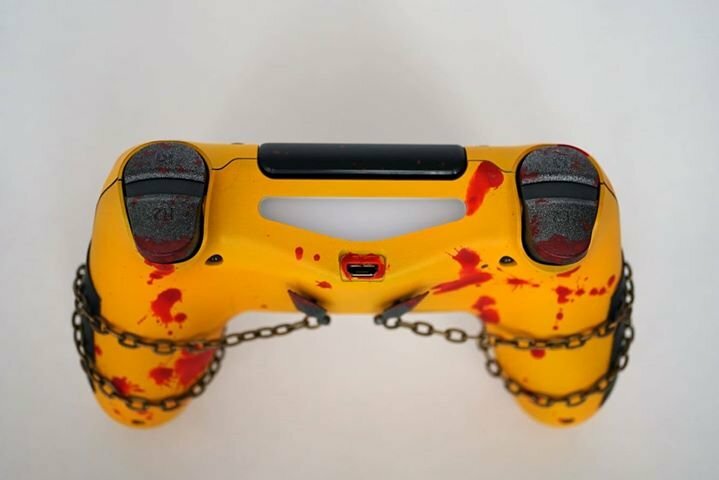 After talking with someone at the company to find out more about the materials, they revealed to me that a Baraka themed controller will be revealed in the near future. 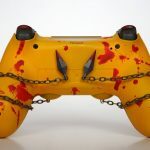 The Mortal Kombat 11 controller sure looks bloody, and reeks of Scorpion. 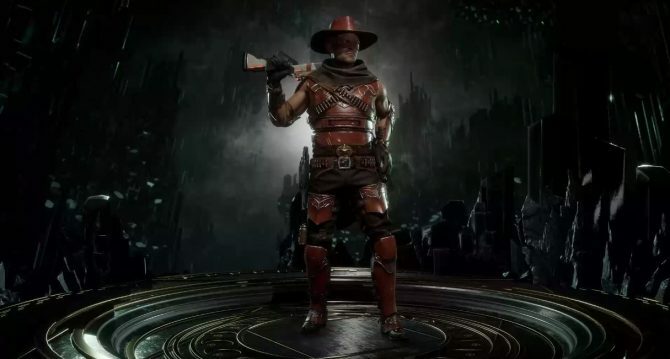 Just have a look at the key art that was released that features the character. 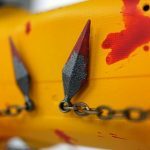 We had Zack on location for the press event that took place earlier this month, and you can read his preview piece here. 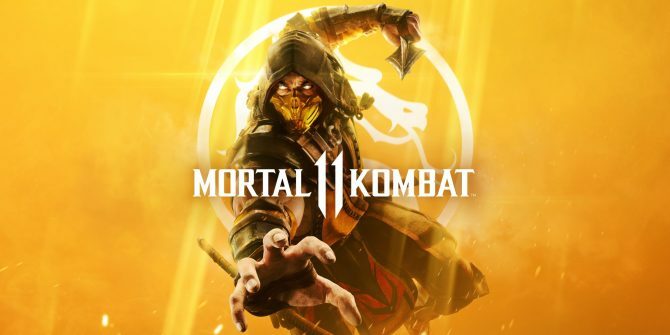 Mortal Kombat 11 is due to arrive on PC, Xbox One, PS4, and Nintendo Switch on April 23. You can pre-order that on Amazon if you wish.